Tell Us Again Why Their “Free Speech” Is More Important Than Our Safety! Remember how America’s own wombsday preppers flew all the way to Ireland because they were so worried about Irish fetuses and wanted to spread their hate worldwide? And remember how we wanted them to just stay over there but also JK cuz it would be bad for diplomacy, and we don’t wish our vermin on other countries!? 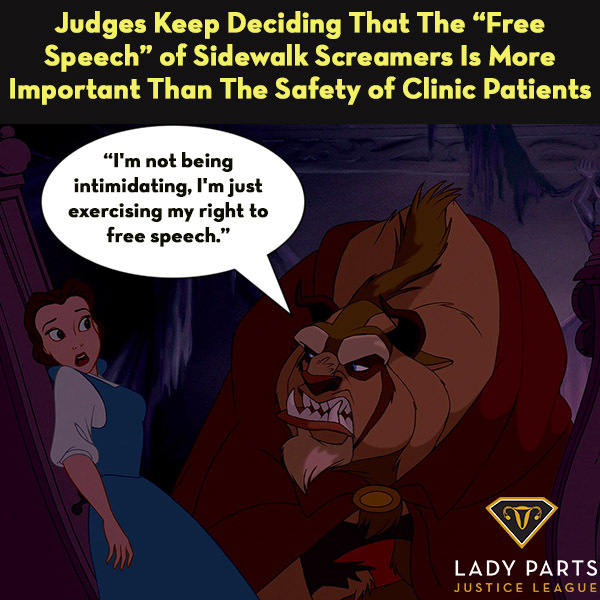 Well, it looks like the fetal obsessive doctrine of whining “OMG you’re violating our FREE SPEECH” has made its way across the pound. Weird how these people can learn the intricacies and loopholes of Constitutional laws but can’t be bothered to learn the capacity for empathy. Read this great article about the particular kind of scum who protested in New Zealand where ABORTION IS ONLY CONDITIONALLY LEGAL! So First Amendment Lawyers: HOW DO WE FIGHT BACK? Non-First Amendment Lawyers: Get out there and counter-protest NOW!